1) Problem: Many buildings and other areas are hit with enormous amounts of energy that, instead of being captured, just increase heat and often require more energy to be used for cooling. Furthermore, where we need power the most is often where there is the least space for solar panels. Greatly increases the potential area that can capture solar energy. 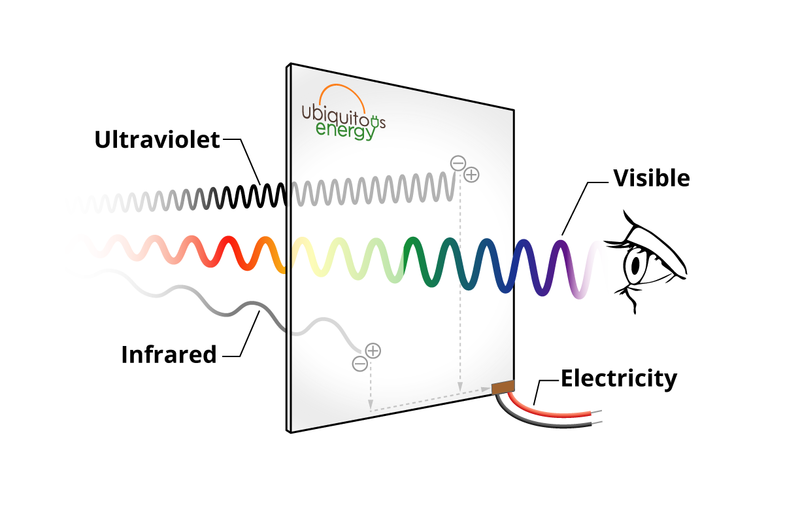 Silicon Valley startup Ubiquitous Energy, a company started by researchers at MIT and Michigan State, is leading the development of transparent photovoltaics. Its mission is to eliminate the battery life limitations of mobile devices and power smart glass for buildings. Its ClearView Power technology transmits up to 90% of visible light, absorbing only ultraviolet and infrared. The panels have 10% efficiency, are low-cost, non-toxic, less than 1/1000th of a millimeter think and can generate electricity on any surface or device without aesthetic impact. Interesting article. The ability to put solar on exponentially more surfaces challenges us to think creatively about how to better harness the power of the sun. The applications could be far reaching both in the US and in electricity-strapped areas of the world, depending on price points. This is a fascinating technology/article and would have the potential for widespread use. Though limitations to its power generation, this solution can contribute in a multi-faceted sustainability plan.